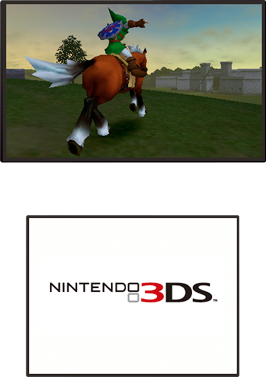 It seems that Ocarina of Time for the 3DS will be available as a Tech Demo to demonstrate the 3D effects of Nintendo’s new handheld. Miyamoto mentioned that it was the openness of Hyrule Field that prompted the creation of the demo, as it would be perfect in showcasing what the 3DS is capable of. However, Eiji Aonuma has mentioned how he will alter some of the controls, such as swapping boots in the Water Temple, to make the gameplay smoother, implying the game will still eventually be re-made in full. Update: Nintendo have announced on their Twitter account that Ocarina of Time 3DS will be produced eventually.